Meredith brought me up to speed on a variety of protocols that I’d half-learned; taught me a variety of principles that I’d not known about; consistently showed patience with my questions and missteps; and helped me to appreciate the beauty and accessibility of a system that I’d more or less avoided due to its depth. I would, without hesitation, recommend her as a guide, and would be honored, should circumstances permit, to dive with her again. Meredith Tanguay is a model instructor and a credit to the professional dive community. 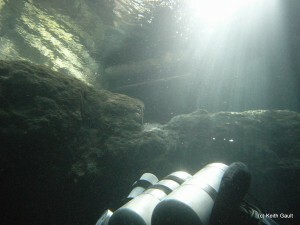 She patiently breaks down cave diving skills and dive plans using a step by step approach aided by clear illustrations. Safety protocol, including equipment checks, emergency procedures, and dive plan review precede each and every dive prior to descent. I highly recommend Meredith as a dive guide, instructor, and mentor. Meredith has been my go-to instructor for Fundamentals all the way up through this cave 1 class. Meredith always takes the time to ensure her students are enjoying themselves and learning as much as possible in the time. My in water comfort, stability, trim and skills in the overhead have increased tenfold since she started teaching me. The pace of the class was challenging but not overly difficult, she’s introduced me to some of the most amazing things I’ve ever seen above or below water. I can’t wait to get back down to Florida for my next cave trip. Her in water and on land debriefs are to the point and she is always looking closely at the details to improve all in water skills. I can’t recommend Meredith enough whether its your first scuba dive ever, if you’re looking to up your game with Fundamental skills or move into the overhead. There are many things that I was looking for in this course and I can confidently say that it met and exceeded all of them. As an instructor, Mer was able to read us well, and know how far to push us at each point in our training, she adapted the material to meet our needs, spending more time on things we weren’t quite as quick on, and taking us thoroughly, but without delay through the content we were both already knowledgeable in. She was also good at challenging us on concepts and drills that we thought we knew but maybe didn’t quite understand all the underlying principles. Overall this was a fantastic course and I am most certainly a better diver because of it. [Mer’s] thoroughness and attention to detail were very impactful to me. I thought our time in the water was very well utilized with a good balance between going on a cave dive and managing an equipment or an environmental challenge. Additionally, I really liked the attention on individual and team focus points prior to each dive. 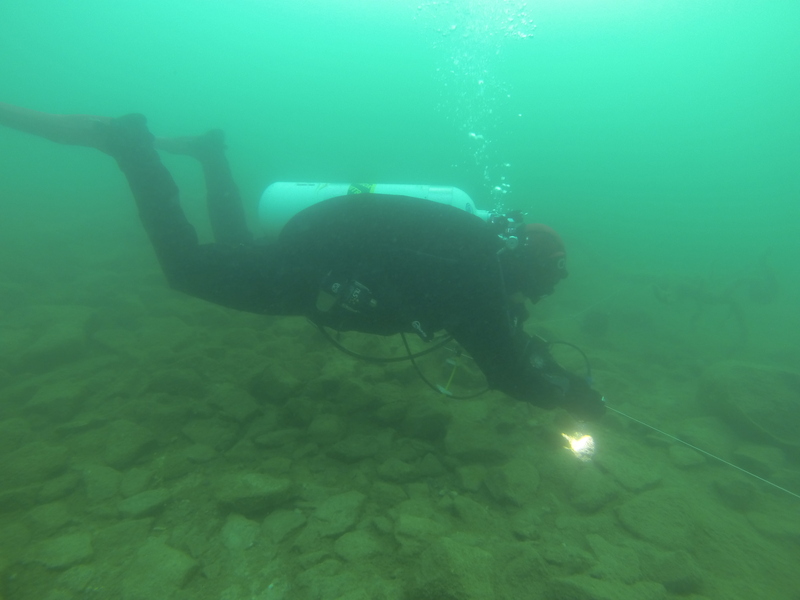 Other areas of the course I really liked are: Video feedback on propulsion and trim, Layering approach to equipment failures, and Field work… The class exceeded my expectations in every way and my only regret is that I didn’t take it sooner. I had been diving for a few years and had a couple hundred dives prior to taking Fundamentals with Meredith. It was the most challenging dive class I had taken up to that point and I initially received a Provisional. However, she worked with me and I was able to upgrade to a Tech pass in doubles a couple months later. When I became interested in taking Cave 1, it wasn’t even a question that I would take her course based upon my experience in Fundamentals. I recently passed Cave 1 and my opinion of her hasn’t changed. She is an excellent diver and teacher with a strong passion for what she does and it shows during class. I would recommend her to anyone who wants to dramatically improve their diving skill set and is willing to put in the work and take constructive feedback. “After taking several GUE courses with Meredith, she has proven herself once again with her superb teaching abilities and patience. Not only did she challenge my personal limits but allowed me to reach a level of performance I never considered possible. How do I even find the words to describe the experience of the last seven days. Andy and I got to spend a week in the water with the amazing underwater Ninja, Meredith Tanguay. At times the challenges seemed overwhelming, but the reward was worth it. Meredith, I cannot thank you enough for helping us gain the skills to explore your underwater paradise. I couldn’t be more proud to officially be a GUE cave diver! With an ever-present focus on technical skills and drills as well as consistently high expectations for what we could achieve, Meredith then customized our lessons to fit what we each needed. 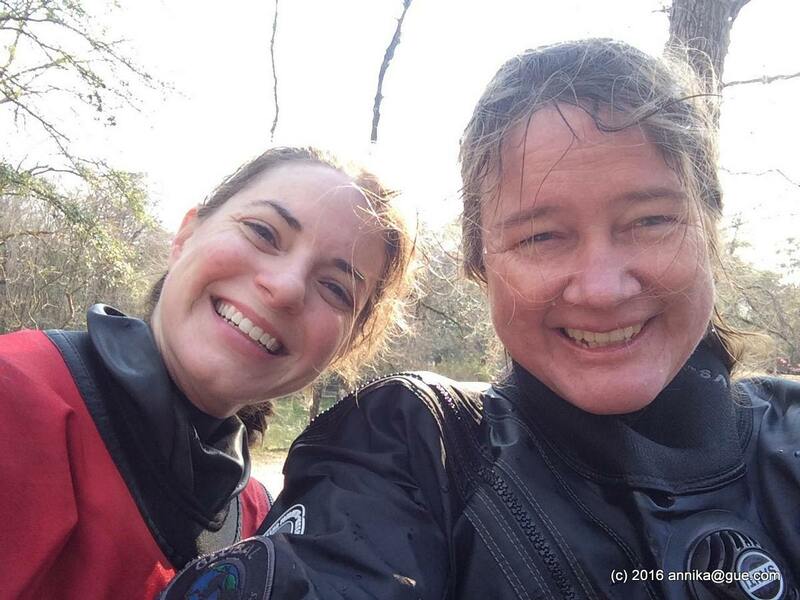 Her style and methods helped me greatly to pick up lots of new technical points while feeling comfortable and assured of my abilities as a GUE diver. Thanks, Mer! My experience during Rec 1 with Meredith was truly amazing. 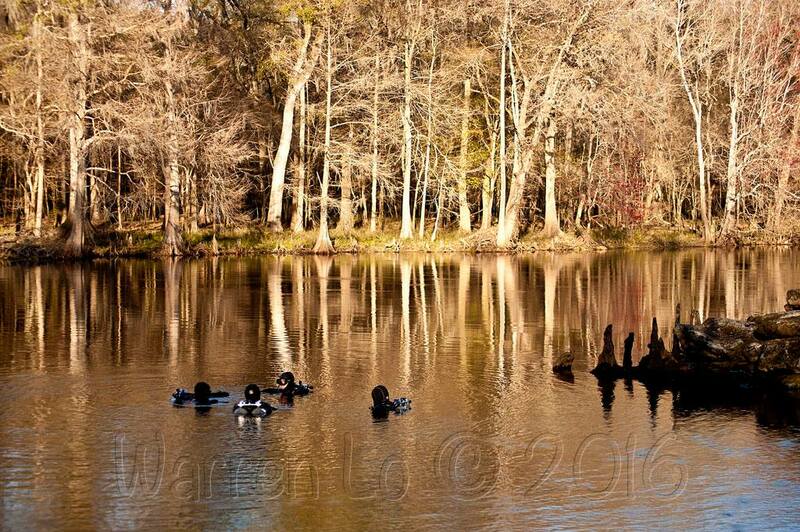 I entered the course excited but with very little knowledge of how to dive safely. I feel like at the end of this intense six day course I was knowledgeable on the importance of safety and buddy skills during recreational dives and was able to comfortably dive within my diving certification limitations and I have gotten many compliments on my diving skills. The skills I acquired and the patient and knowledgeable instruction I received will always be a part of my diving. I really feel the program, and Mer’s instruction, was the best way for me to learn diving and I know others would benefit from it too. Last year I had the opportunity to observe and participate for part of my friend’s GUE Recreational Diver 1 course. The course was extremely comprehensive with both the in water time as well as the academics and theory of diving principles. I found it amazing to see my friend evolve from a non-diver into a diver with a solid and stable platform by the end of the class. It’s truly amazing how much one can learn and progress when they are a blank slate without any bad habits to try to break. What really impressed me is at the conclusion of my friend’s Rec 1 class that he was able to understand and calculate minimum gas, formulate and execute detailed dive plans, and understand minimum decompression, all things that I wish I had learned myself in my open water class many years back. Knowing what I know now, this class is some of the best time and money spent in your diving. 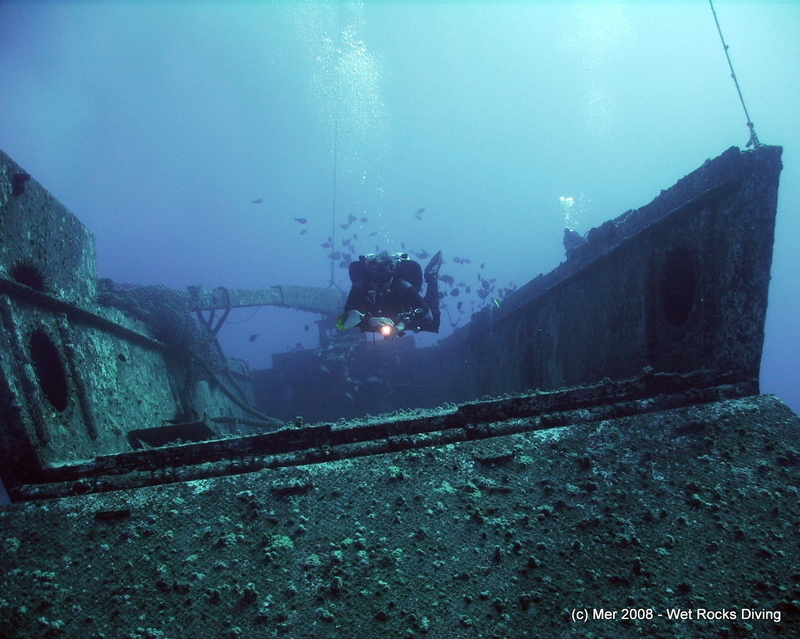 Rec 1 is a comprehensive learn to dive course that will lay the foundation for enjoyable safe diving. Mer’s enthusiasm and passion for diving is contagious. She provides students with valuable insights and pro-tips that can only come from someone who is truly a master in the art. 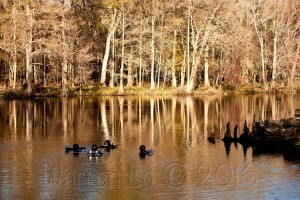 Her Fundamentals class is very challenging, yet also very rewarding; and I highly recommend it for any level of diver. I can’t thank her enough for her patience and professionalism and I look forward to more classes with her in the future. Mer and Sam did a great job with our “Fundies” class; they are extremely skilled divers and instructors. They patiently handled our extensive questions, graciously provided multiple explanations to clarify difficult concepts in the classroom, and respectfully and honestly gave us feedback on our diving skills. Fundies was very challenging for this relatively inexperienced diver (25 dives prior), but I very much enjoyed it as I learned to work in a team, significantly improved my skills and gained enough awareness to continue refining my diving. I would strongly recommend both Mer and Sam and look forward to working and diving with them in the future. It was fun! I continually get compliments on my diving these days. The lessons learned in Fundamentals have been a huge benefit. Diving is fun again! My buddy said he can’t believe how good my trim has become in such a short while. He said one course made incredible change and I have to say, coming to Mer’s class was the best choice ever. She gave me the keys to the secret world of technical hobbits! Thanks for all! We especially discussed about Mer being the only person to be able to make real corrective actions to her center of weight and balance. Nobody’s dared to make such changes taking into account different physiological aspects as being very short person. After 20+ years of diving I wish I had just started with GUE to begin with. Mer is very hardworking and focused. She is quick to tailor the training to the students based on need and their individual progress. I didn’t even realize how much I had picked up until I started making my first dives after class – what a difference. I will be back. Mer is awesome! Our class with her was by far the best investment of scuba money we’ve done. Mer and Annika at the end of her one-week cave diving tour! The really major positive feedback – is trust and professionalism, everything in a relaxed, fun and comfortable setting. Specifically one thing that makes me come back for guided diving with Mer – is Mer´s general sound diving attitude and her skills of presenting both the plans and detailed briefings in a organised way. A kind of way that is just giving it the truth – not more or less. By this I mean for example, explaining the look of a restriction or explaining the flow strength, visibility or explaining the realism of how far we can travel (swim!) into the cave etc. No one has ever explained the plans for the dives nor the post briefing in such a good way, as Mer with maps. 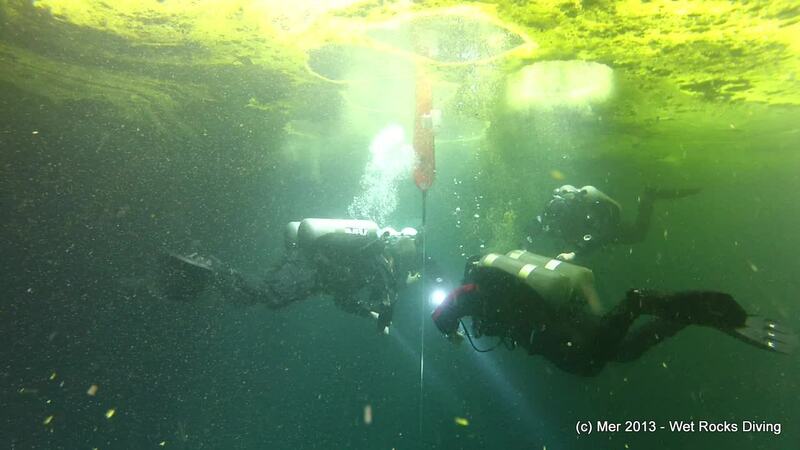 I´d not hesitate in recommending any experience level of cave diver to join Mer underground! Potential students, guidees, or mentees wishing to speak with one of Mer’s current/past clients, please email Mer for references.